The Hyundai Venue is a new crossover that the Korean company will unveil at the 2019 New York Auto Show. Set to become the brand’s entry-level SUV, it will slot below the Kona and compete against vehicles like the Kia Soul and the Nissan Kicks. 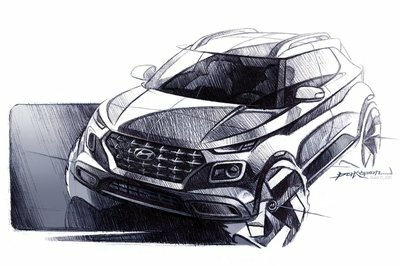 Hyundai launched a couple of teasers and sketches before the unveiling, but they aren’t very revealing. However, the Korean describes the crossover as “a great fit in accommodating busy lifestyles with an abundance of playful and practical features including seamless safety, versatility, and connectivity. Fortunately, the mini SUV was spotted testing in the wild, and the paparazzi managed to take a peek under the covers. The Venue will debut on April 17, so stay tuned for a full review of the crossover. Until then, let’s have a look at what we already know about it.